Scotland's favourite cartoon schoolboy is 80. He is pictured here resting after cutting the "grassy beach" on the banks of the Tay at Dundee with his faithful Shanks Scot lawnmower. 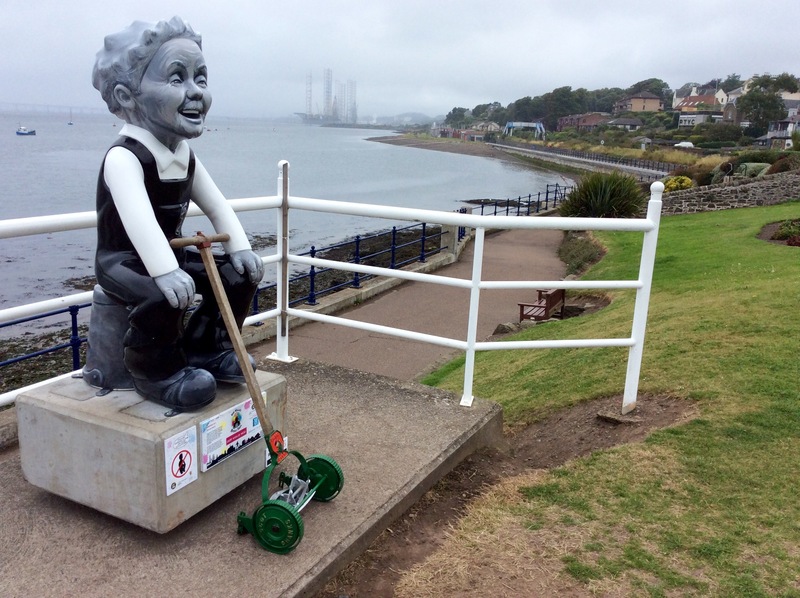 Around 90 different statues of Oor Wullie have been displayed around Dundee, each one painted by a different artist or school pupil. Since he usually sits on a bucket the tour of the statues is called the Oor Wullie bucket trail. The lawnmower was rescued from a local salvage yard.